Serge Aurier has expressed his intentions to leave Paris Saint-Germain this summer, manager Unai Emery has revealed. The Ivorian defender has been linked to the Red Devils for quite some time, as Jose Mourinho looks to add another elite defender to his ranks. The Portuguese boss seems to be aiming to exploit the competition that Dani Alves’ arrival to the French capital brings. Moreover, Aurier has been linked to various moves away from France for months now, suggesting he might be eager for a departure. Furthermore, it was recently confirmed that the defender would not be featuring in PSG’s pre-season tour to the US. Adding to the matter, Unai Emery has now revealed that this decision was taken after the 24-year-old requested to remain in Paris to sort out a move away. He is widely expected to leave the Ligue 1 giants before the new season takes off. The Ivory Coast international seems to be in pursuit of regular first-team football, as he featured in just 22 games in the league for the French side last time around. 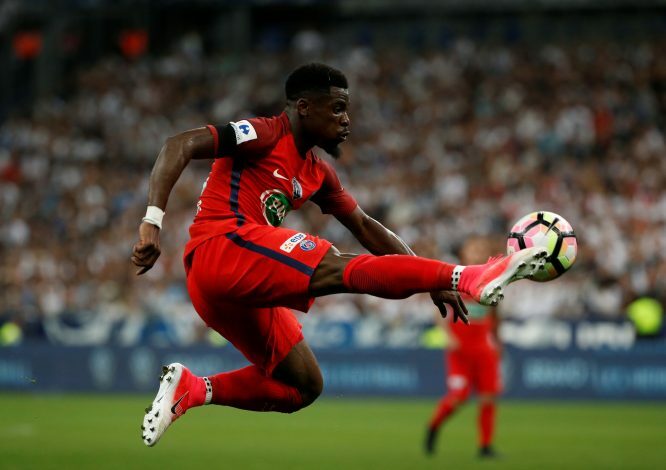 Aurier is believed to be in search of teams with lesser competition for a place on the team sheet, as future opportunities at the Parc des Princes look scarce. Meanwhile, as United look interested in the PSG defender, adding Aurier to an already strong backline is certainly amusing to think about. The English giants faced a lot of issues defensively last season, and they might be looking to iron those out through the addition of the right-back.